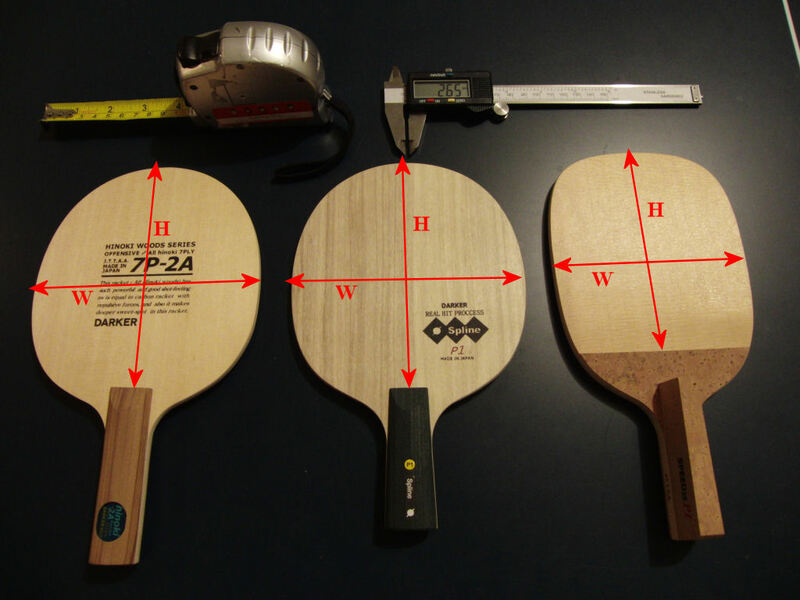 This is a database of table tennis blade dimensions and typical weights. This is a community project, with measurements provided by players worldwide. Credit goes to the members of OOAK Forum and more recently the MyTT forum for providing the data! Why are the blade dimension and weight important? Manufacturers often don’t specify the dimensions or typical weight of their blades. If you’re buying a new blade, it would be useful to know if it’s regular size, or somewhat over- or under size. This is particularly important if you’re going to be using old rubbers, or rubbers from a friend… you want to know if they’re going to fit! For people that want oversize blades, it’s important to know how big the blade really is, as their top choice of rubber may not actually fit. Yes it does happen! Check the Rubber Sheet Size Database for rubber sizes. Tip: There are always variations in weights of blade, even for identical models. If the blade weight is important to you, ask your dealer for a specific weight or weight range. Some will be happy to supply you with your requested weights. This database is a community project, so the more people that can help contribute, the more everyone benefits! If you can simply weigh and measure your blade before you put rubber on, and provide us with the information, it can be added to the database and you’ll be helping other fellow players from everywhere! All you need is a ruler and kitchen scale, although you may need a vernier for the thickness. Whatever information you can provide is useful, even if you can’t take all the measurements! Thanks for your work on these databases. 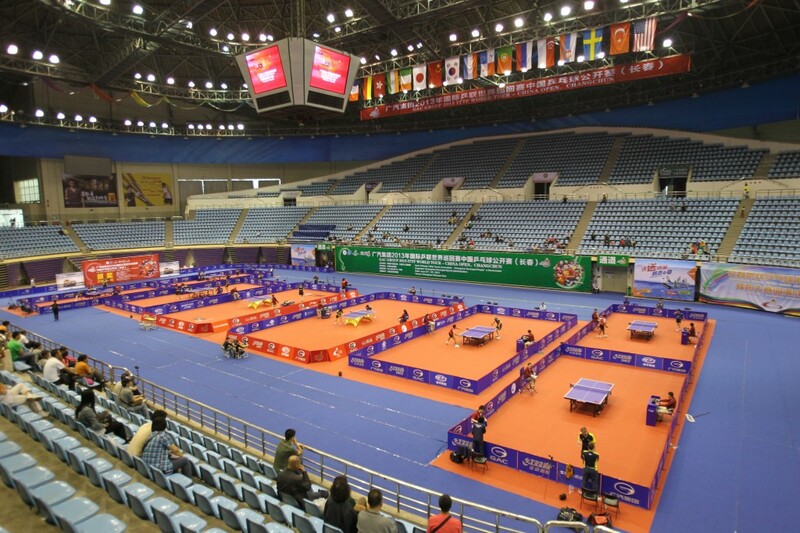 Banco is a French vendor’s specific brand (“Wach Sport” – http://www.wsport.com/accueil_ind.php). Quite popular in the area for average players, since their stuff is good enough, if not very fancy, and a bit cheaper than the other Euro brands. I think it is actually manufactured by the same production sites as Tibhar (blades and rubbers). THE REASON SAME BLADE WEIGHTS VARY, IS DUE TO THE BLADE’S HEAD’S SIZE – IT DEPENDS WHICH COUNTRY THE WOOD CUTTING IS DONE, AS THE CUTTING MACHINES VARY AS DOES THE CAPACITY OF THE OPERATOR. WEIGHTS DO VARY A LOT. HALLMARK ULTRA LISTS 75gm. ACTUAL WEIGHT IS FROM 68gm TO 82gm. TAKE INTO ACCOUNT THE RUBBER WEIGHT ON BOTH SIDES ADDED, PARTICULARLY WITH THICKER SPONGES – AND YOU GAME GOES DOWN HILL IF YOU DON’T ASK TO HAVE THE WEIGHT YOU NEED. IT MIGHT TAKE SEVERAL MONTH TO GET YOUR WEIGHT IN THE LOWER NUMBERS.IT IS PARTICULARLY IMPORTANT WHEN THE BLADE IS TOP HEAVY. I MUST STAY WITH THE 70-71gm WEIGHT FOR MY GAME. IT IN MINUTES WITHOUT EFFORT. BUT I WILL DO IT IN THE FUTURE. Air C6 Carbon : 6.35mm , weight 79 gram. Butterfly Defence Alpha: shake, 6.3 mm thickness, 159/168 mm head size, 95g, 3 willow plys. Butterfly Defence II: shake, 6.4 mm thickness, 155/167 mm head size, 96g, 3 willow plys.